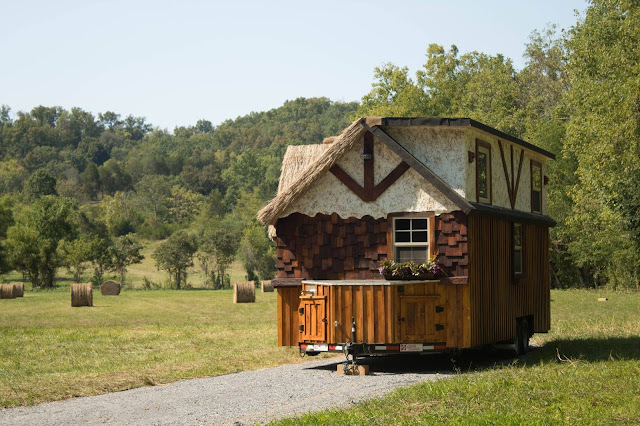 The Highland Home is definitely a tiny house that stands out! 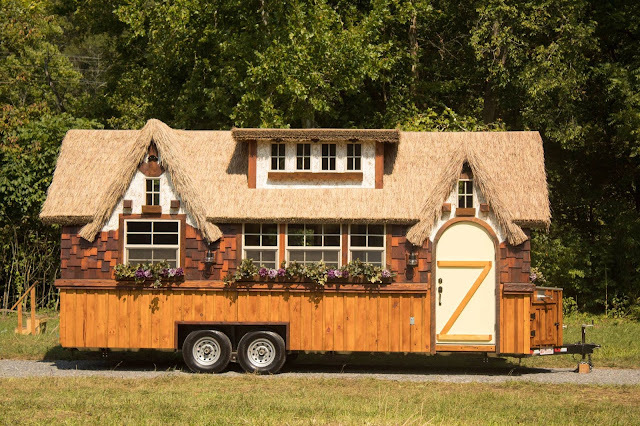 With its thatched roof and exterior flower boxes, it's as unique as it is charming. 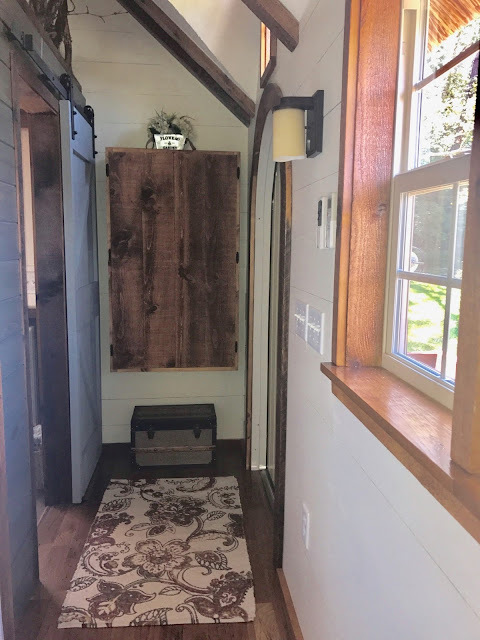 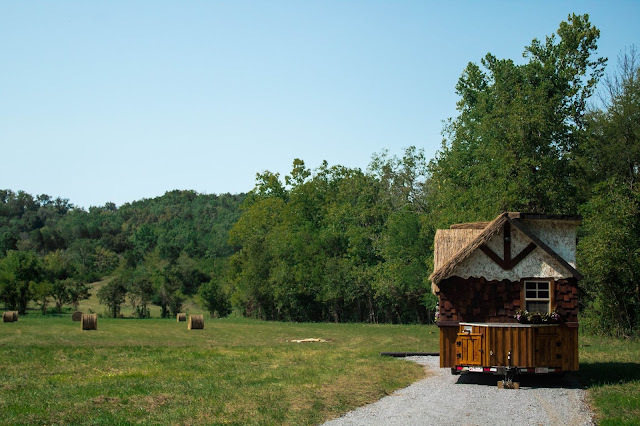 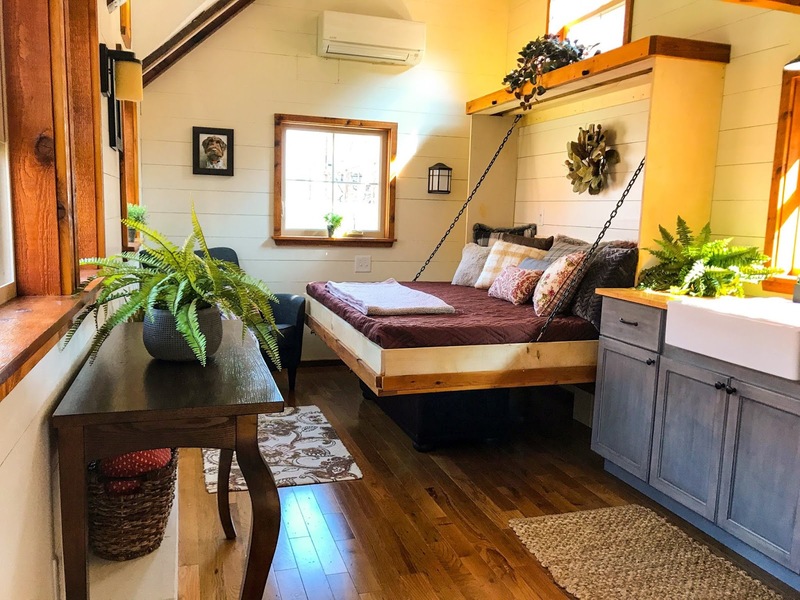 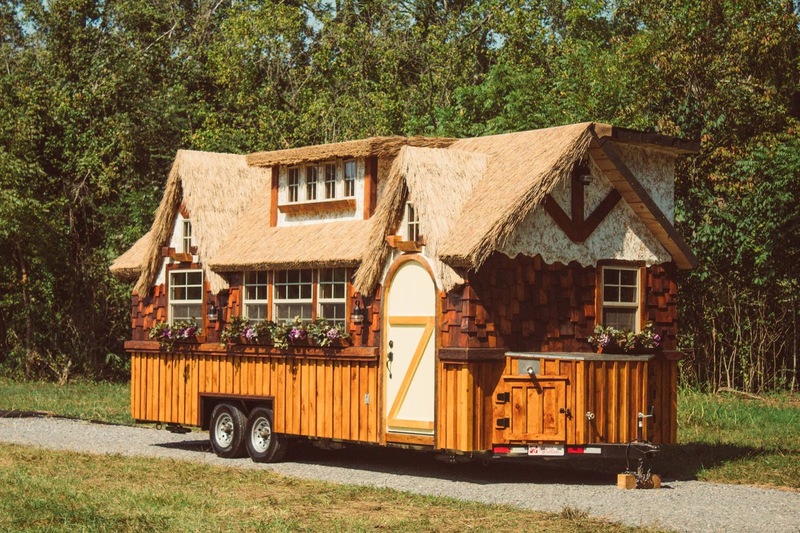 The Highland Home is designed and built by Incredible Tiny Homes of Morristown, Tennessee- the same builder who built the Hobbit House! Its exterior is composed of a synthetic thatched roof with stucco, board and batten siding, and cedar shake shingles. 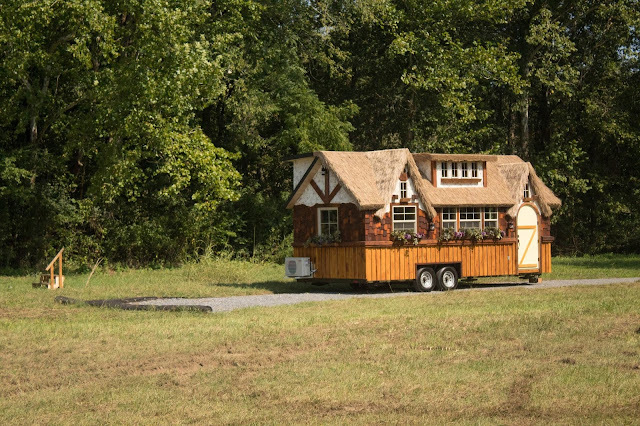 Measuring 10' x 24', it's a little wider than most tiny houses. 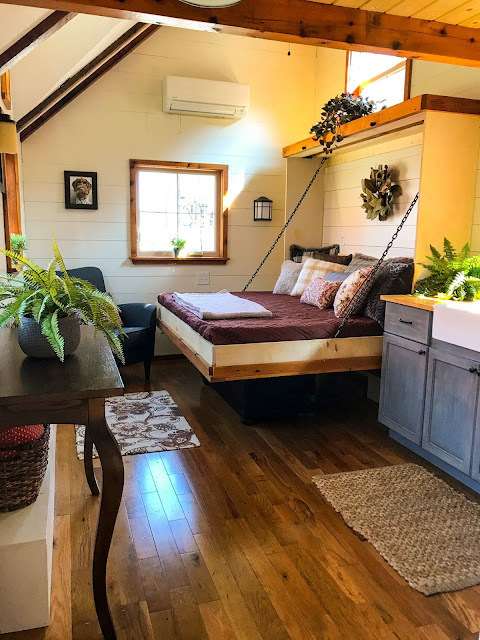 Its interior features a ground floor bedroom with a queen-sized Murphy bed. 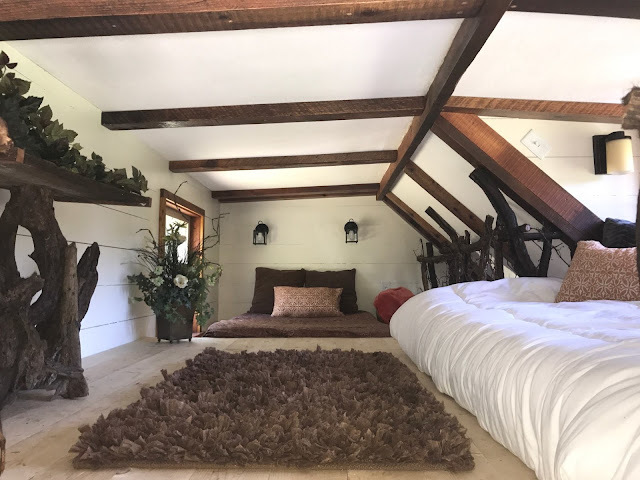 There's also a loft space that's perfect for a second bedroom or for use as storage! 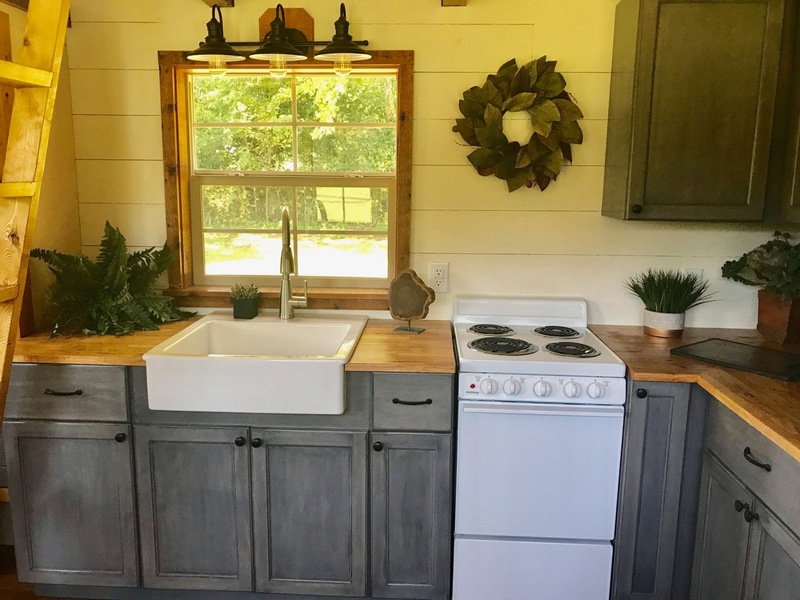 The home's kitchen comes equipped with a four-burner stove, a fridge, and a half-moon sink. 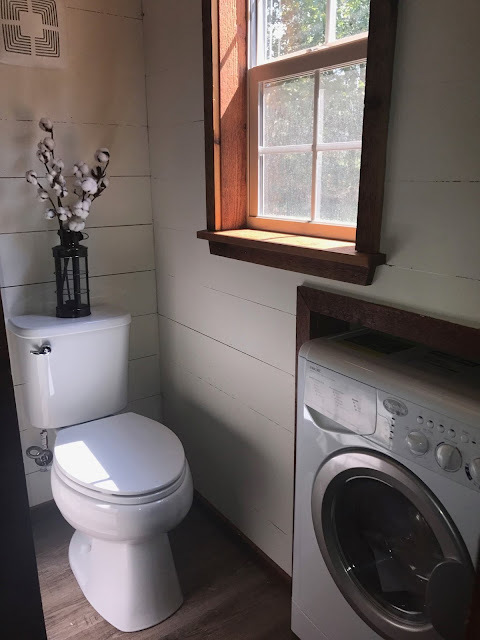 The bathroom features a 36" shower and a standard flush toilet. 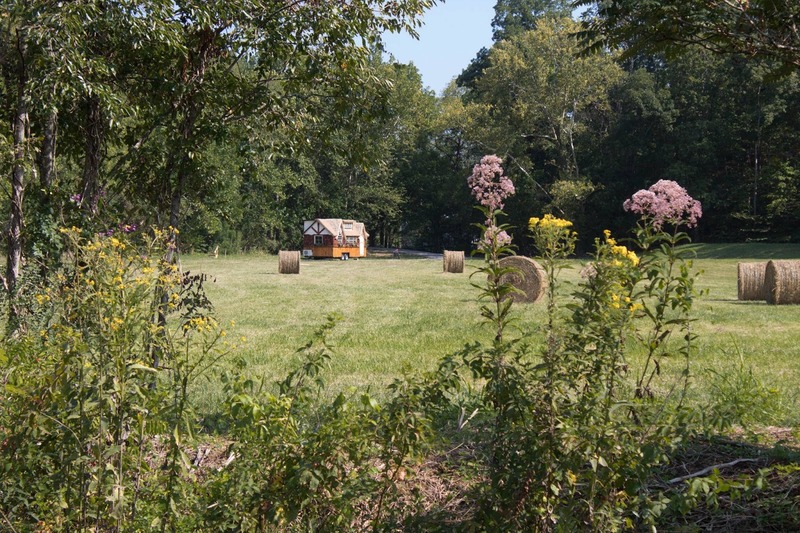 The Highland Home is currently available for sale in Tennessee and priced at $65,000! 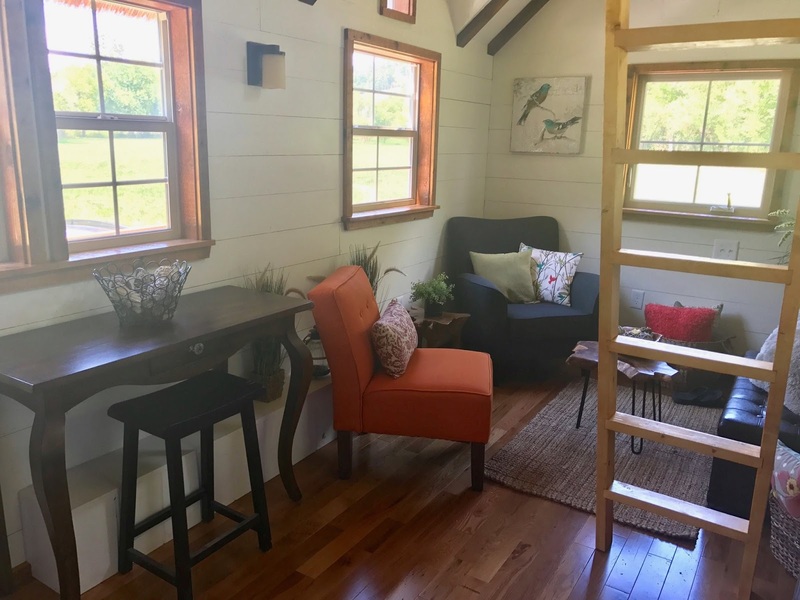 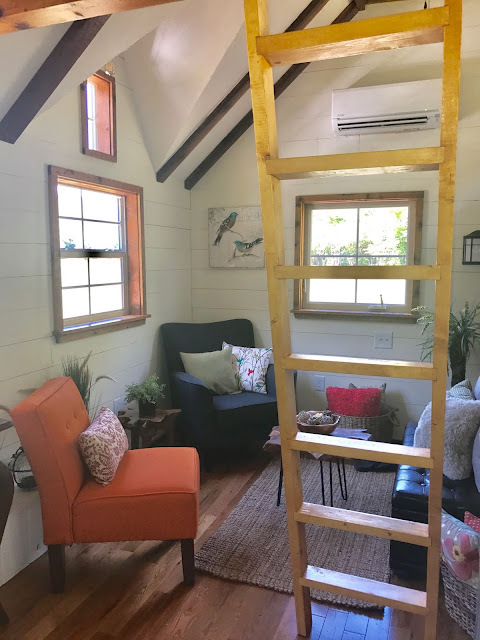 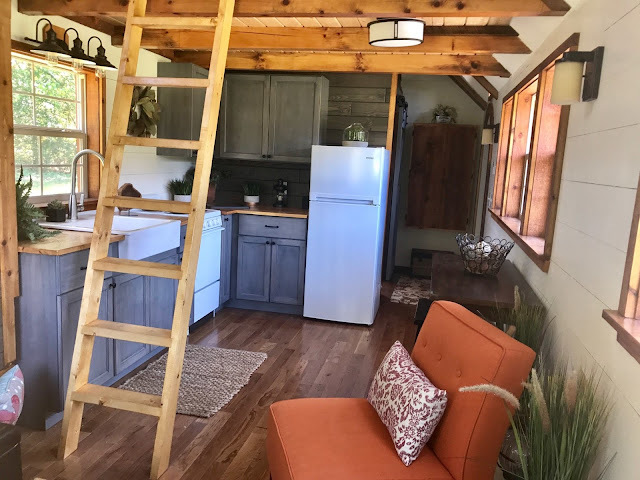 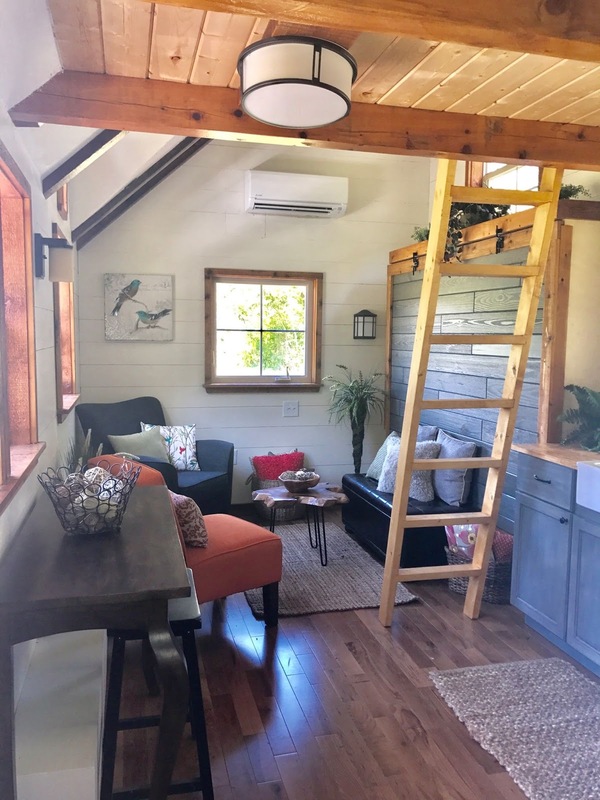 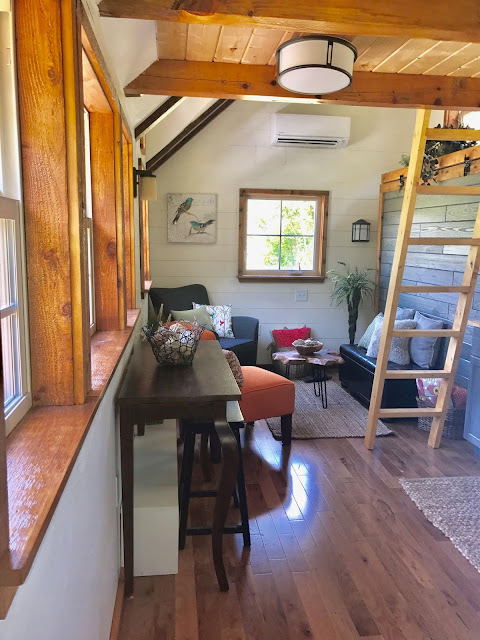 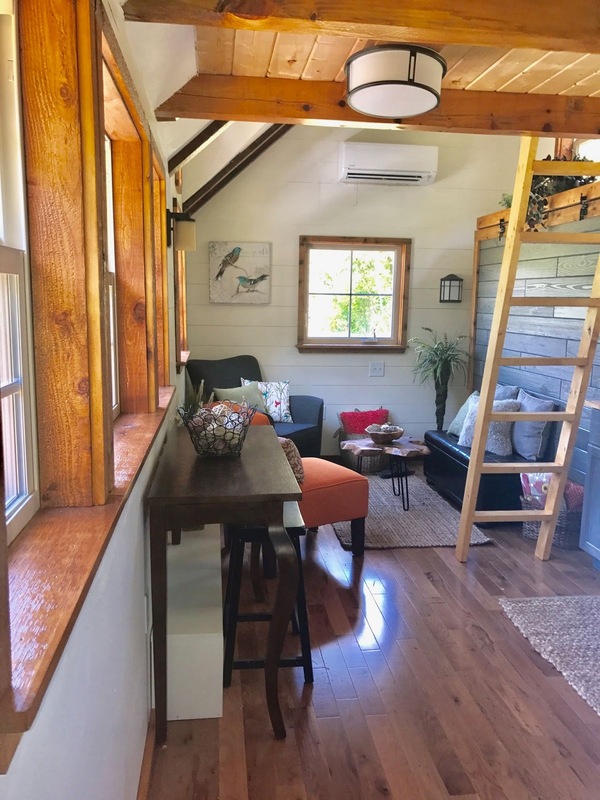 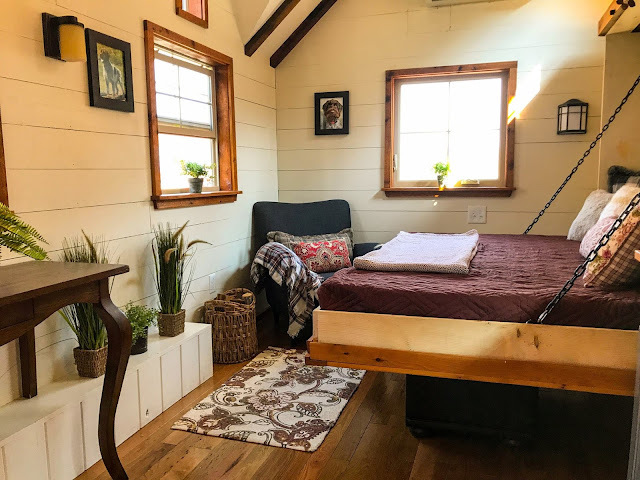 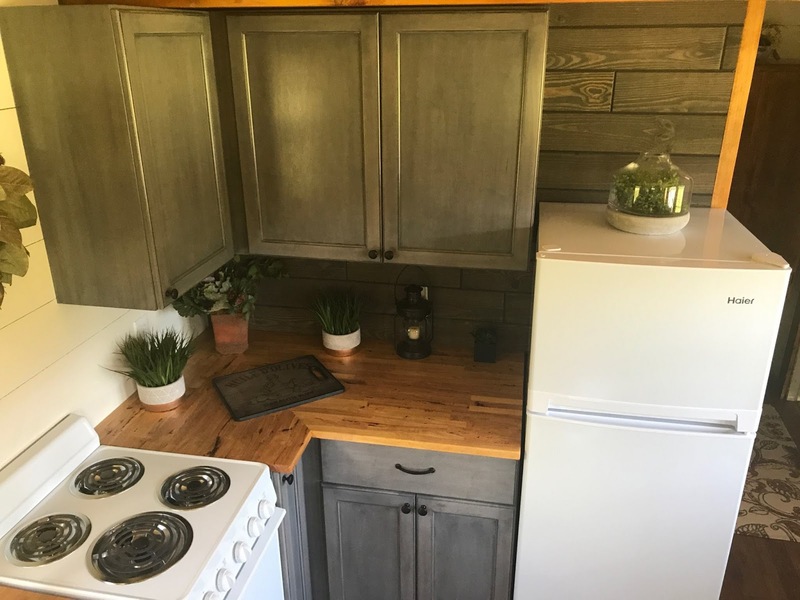 For more information and/or inquiries, reach out to Incredible Tiny Homes here.